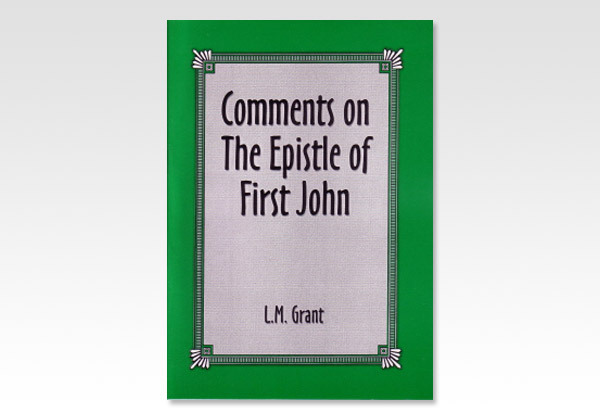 The five books written by John - his Gospel, three epistles, and Revelation ­have certain common features beautifully consistent with the character of the evangelist, yet each distinctively maintaining its own special object. How marvelously thus is exampled the pure wisdom and power of God in using the precisely proper instrument for such service, and controlling that instrument in accordance with its own capacities, its own nature, its own voluntary responses! Wonderful indeed! But not incredible, for who is Creator? John's books are historically the last of all, for he outlived all the apostles, and was very aged when all these books were written. Do we not then look for a character of things in his writings that speaks of mature, venerable, sound wisdom? Indeed, he dwells upon that which eternally remains, after all dispensations have passed away, after government on earth has fulfilled its purpose. For his great subject is not God's counsels in His mighty dispensational dealings, as is Paul's special line of ministry; nor God's present ways in order and government, as in Peter's epistles; but rather the very nature of God revealed in His beloved Son, that Eternal Life, which was with the Father, and was manifested unto us. It has been well observed that Paul gives the setting for the display of God's glory, Peter gives the becoming arrangement or order in that setting; John presents the blessed display itself.